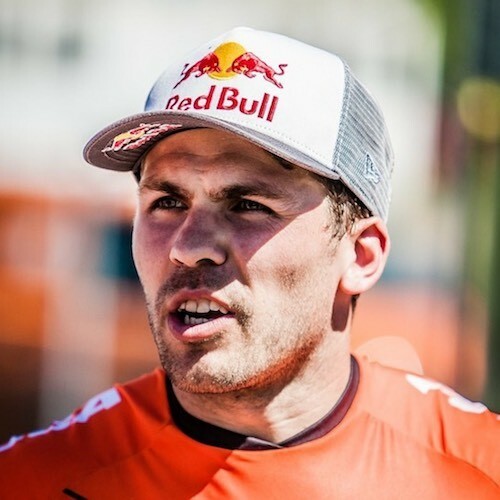 BMX Supercross rider and Double Olympian Twan van Gendt, he reached the Olympic final where he secured the 5th place at the London 2012 Olympic Games, and the 9th place at the Rio 2016 Olympic Games. Twan van Gendt (born 9th June 1992 in ‘s-Hertogenbosch, Netherlands) started riding his BMX bike from the age of 6. He started competing as a professional BMX rider in 2009 and was selected for the Dutch National BMX team in 2010. In the seasons 2010 and 2011 was still finishing his school and wasn’t able to be a full-time athlete, therefore the results of these seasons were below his expectations and the expectations of the team, consequently in late 2011 Twan and the Head Coach decided to continue as a part-time athlete for the year 2012 and focus to peak at the Rio Olympics 2016. As a bit of a surprise, Twan started very strong into the season 2012, and his coach Bas de Bever decided to go full time. The decision paid off and Twan qualified for the Summer Olympics 2012 in London. A few weeks before the Olympics 2012 Twan experienced 2 injuries which made it difficult for him to follow his training program. Twan worked hard during these weeks to train whatever he could. At the BMX Supercross event in London 2012 Olympic Games Twan finished 3rd in the time trial event. In the main event, Twan showed outstanding performances winning individual heats, and leaving the reigning Olympic Champion and reigning World Champion behind him. In the race, Twan secured the 5th place. The result at the Olympic Games, and even more so his outstanding performances Twan established himself as one of the best BMX Supercross riders in the world. In the 2012 season Twan won the Red Bull Revolution event in Berlin Germany, he won his first World Cup in Abbotsford, Canada and finished the season as number 3 in the world ranking. In the years 2013 – 2015 Twan was a mainstay in World Cup finals, as well as world championships and European championships. Twan was determined to make it to the podium in Rio 2016, unfortunately, history repeated itself and leading up to the Olympics Twan experienced another severe injury, putting him in danger not to qualify for the Olympic Games 2016. In a true Twan van Gendt manner, he worked hard despite his injury and qualified for the Rio Olympic Games. At the BMX Supercross event in Rio Twan showed his qualities and finished 5th in the time trial event. Unfortunately, in the main event, Twan crashed in the first heat. Twan managed to qualify for the semi-final in heat 2 and 3. The crash resulted in an injury, that made an appearance in the semi-final on the next day doubtful. According to my colleagues, who were at the event, they witnessed that Twan struggled to walk down the stairs in the morning of the semi-final. However, Twan being Twan, he pulled himself together and competed in the semi-final and literally missed the Olympic final 2016 by just a few centimeters. Twan took a few weeks off after the Olympic Games to allow his body to recover. 2017 Twan had another successful season winning his 2nd World Cup in his career, becoming runner-up at the European Games and ending the season as number 5 in the world ranking. An overuse injury in his knee made Twan go through a 5 months recovery process from the end of 2017 and the first month of 2018. Twan fought back and reached again World Cup finals in 2018 and ended this season as 5th in the world. Twan left the Dutch National team at the end of the season 2018 to join Team Oegema TVE. More details about his up’s and down’s check out the interview with Twan van Gendt. Twan is one of the most dedicated and hard working athletes I have been fortunate to work with. I guess the best example of Twan’s progress over the 6 years we have worked together can be shown in this video. On the left side 2010 performing a Hang Power Clean with 55 kg and crappy technique and on the right side 150 kg Clean with very solid technical execution. Squatting double body weight not only for 1 rep, but for 10 reps! You can find Twan on different places on the web, find his social profiles, Red Bull Athletes page and website below. You want to ask Twan a training question, any other question or get in touch with him? Put it in the box below and leave the best email address where you can receive a response.